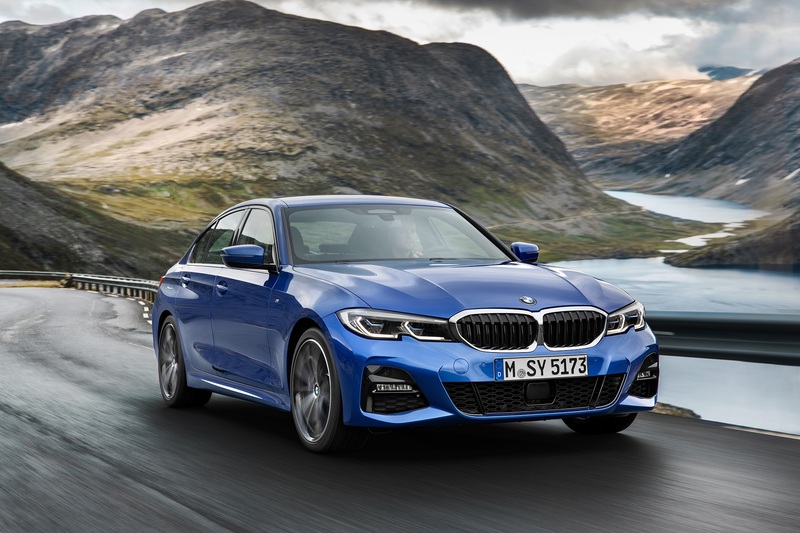 The 2019 BMW 3 Series was officially unveiled Tuesday at the 2018 Paris Motor Show, boasting an all-new exterior and interior design in addition to updated power units and technologies. On top of it all, BMW promises that its newest midsize sedan has what it takes to steal consumers' hearts (and wallets) in a rapidly changing environment that favors SUVs over sedans. The seventh-generation series, or G20 as BMW calls it, includes the 330i, M340i, and eventually an electrified 330e. It has matured in every single way possible compared to the outgoing model and is now 05. inches taller, 2.9 inches longer, and 0.6 inches wider. The front and rear tracks are also wider by 43mm and 21mm, respectively. In terms of design, the overall exterior look of the G20 is much cleaner and smoother than the rather sectioned-off sixth-gen model, especially around the kidney grilles and LED headlight housings which are now connected and flow from one side to another as if they were one piece. 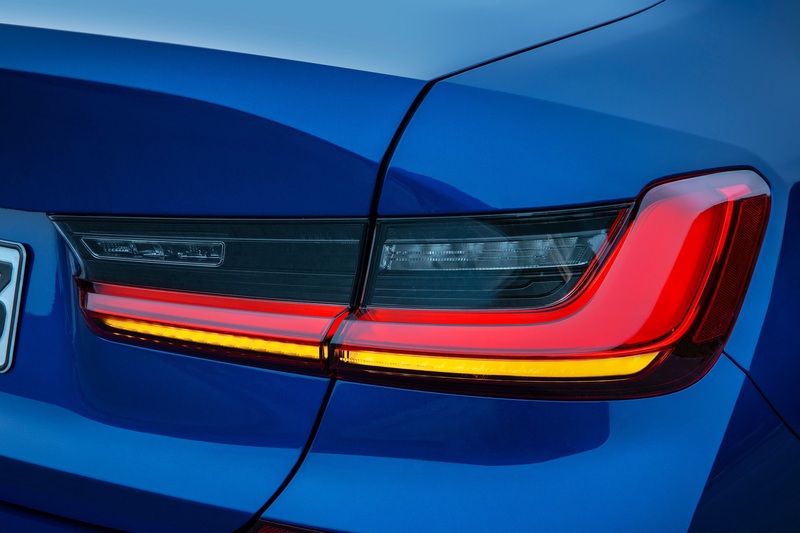 In the rear, the new L-shaped taillights that are somewhat reminiscent of a Lexus product adorn a simplified rear end that's easy on the eyes thanks to a wider look. 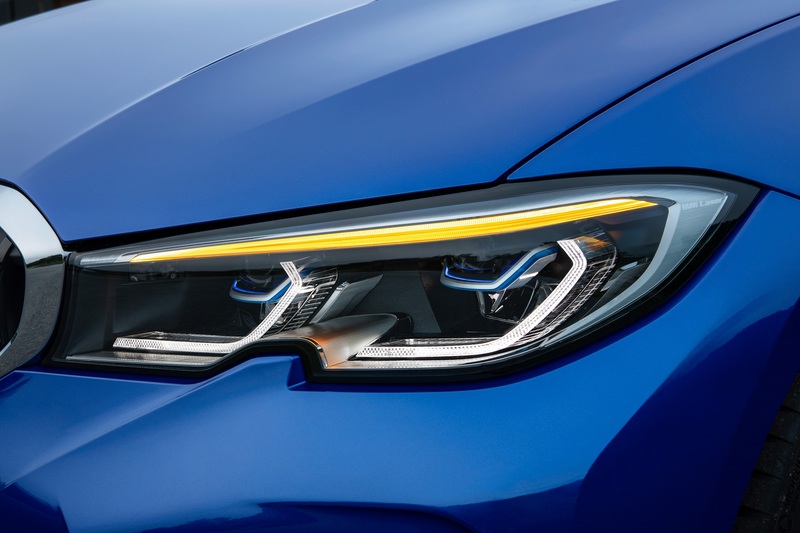 The sideways T-shaped fog lights in the front and reflectors in the rear remain in non-M Sport models. Speaking of M Sport, the popular add-on kit is now more aggressive than ever with large cutouts in the front bumper that serve as air ducts and house the fog lights. The profile and rear are also enhanced with the sporty package, with flared side skirts, large vertical vents in the rear bumper, and 19-inch trim-specific wheels. BMW released images of an M Sport variant in Portimao Blue metallic that looked quite stunning. A vehicle like the 3 Series is designed to be driven, so the base-model 330 features more power than ever courtesy of reduced internal friction and a lighter camshaft inside the 2.0-liter twin-turbocharged inline-four engine which now produces 255 horsepower and 295 pound-feet of torque, up seven horsepower and 37 pound-feet from 2017. 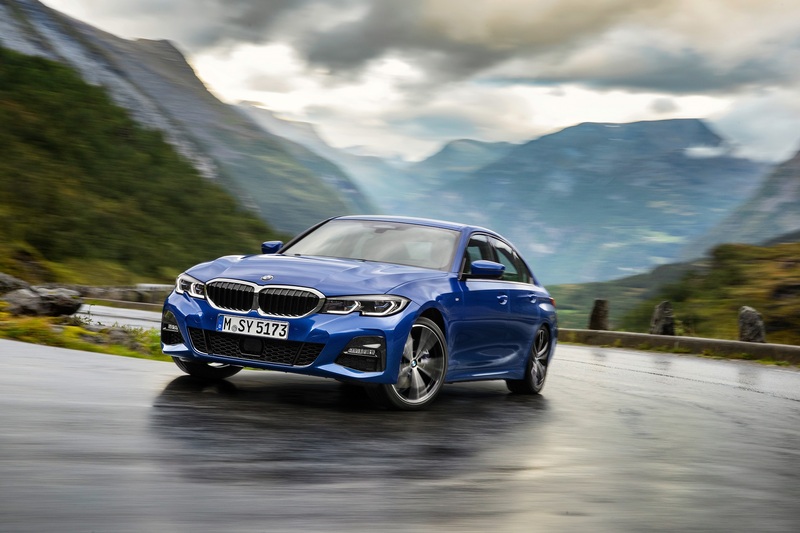 The midsize sedan also got rid of its six-speed automatic transmission in favor of an eight-speed, which BMW claims can deliver a zero to 60 time of 5.6 seconds with rear-wheel-drive and 5.3 seconds with all-wheel-drive. Sadly, the German automaker confirmed that manual transmissions are a thing of the past for all of its gasoline-powered and all-wheel-drive diesel vehicles moving forward. Only rear-wheel-drive diesels will offer a manual transmission option. If 255 horsepower isn't enough for your right foot, then the M340i and all of its high-performance wizardry should do the trick. The updated turbocharged inline-six produces a hefty 382 horsepower and 369 pound-feet of torque, which should be good enough for a 4.2-second run to 60 miles per hour. Both rear-wheel and all-wheel drive will be offered, and they will mate with an eight-speed automatic transmission. 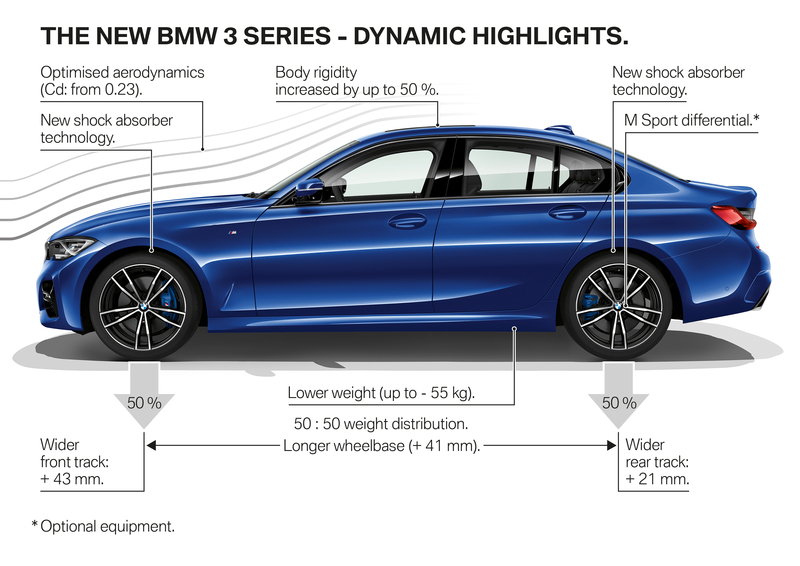 In addition, the M340i also receives M Sport suspension with lowered ride height, adaptive suspension, variable sports steering, M Sport brakes, and an electronically controlled differential. 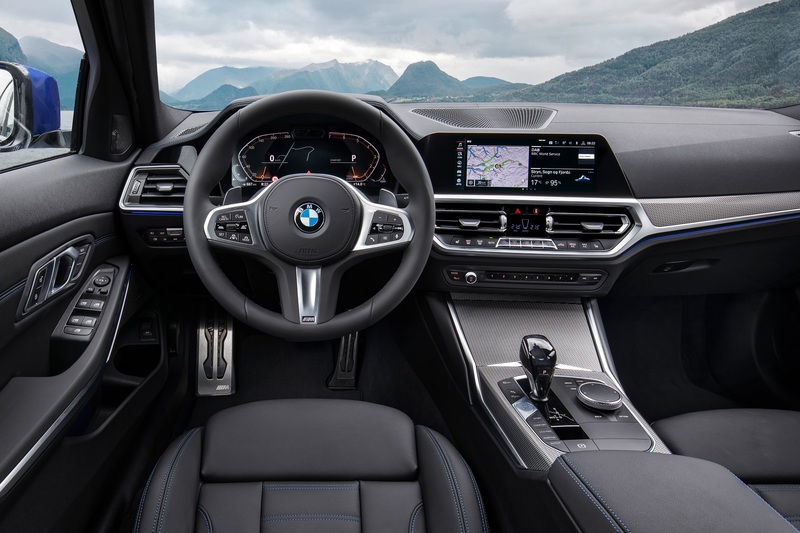 While the exterior and performance characteristics of the all-new 3 Series are in to please, no other area deserves more praise than the interior. Having been "left alone" for half a decade, the interior design of the G20 matches the smooth, simplistic, and handsome looks of the exterior. A seamless dashboard that tilts toward the driver encases an 8.8-inch standard touchscreen (10.25-inch standard) that manages all of the vehicle's vital functions, including navigation, media, safety aids, etc. A separate set of controls located below the screen and between the vents give the driver and passenger an easy-to-understand way to control the climate along with volume and audio presets directly below that. Much like the manual transmission, the G20 kisses goodbye to the manual handbrake and welcomes its electronic counterpart. More details will be available closer to launch. The 2019 BMW 3 Series goes on sale next spring with a starting price of $41,195. A more aggressive exterior, a sleek interior, and the disappearance of a manual handbrake roundup the G20 3 Series.